Ideal for securing residential estates, Suprema’s access control platform is intelligent, fast, accurate and easy to use – efficiently controlling access for residents, visitors, domestic and facility workers as well as contractors. Suprema’s range of access devices can be installed in a variety of environments, from outdoor installations to luxury high-rise apartments. 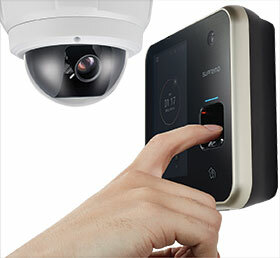 Suprema’s product range provides a rich range of features to choose from, such as PoE, Live Finger Detection, vandal resistance and ingress protection, as well as various authentication options, including face, finger, PIN and card. BioStar2, Suprema’s access control platform offers a cloud-enabled mobile access control application with real-time reporting, alarm notifications, remote access and monitoring. Alternatively, Suprema is integrated into more than 25 access control platforms, many that directly address the residential security vertical, such as Gallagher, Honeywell ProWatch, Avigilon, Paxton and many more. BioStar 2 now also boasts mobile credentials for its new terminals, using NFC or Bluetooth Low Energy. This means that smart cards can now be loaded to any new generation mobile phone supporting NFC or BLE, totally eliminating cards where multi-factor authentication is required. Further, Suprema integrates into popular VMS platforms such as Milestone, NX Witness, Arteco, Cathexis Vision, Hikvision and Indigo Vision. These integrations bring to the table integrated number plate recognition for multi-factor access control, efficient visitor access and vehicle black listing. It also adds forensic intelligence to video by linking video to access events with an undisputable video trail. Suprema hardware also allows for external intrusion and perimeter security input signals, feeding it into the access control and video management platforms, allowing for a unified view of security for estates or personal residences.